King Khalid Wildlife Research Centre (KKWRC) is one of the largest gazelle breeding centres in the world. ZSL managed KKWRC for the Saudi Wildlife Authority from 1987 until 2016, making it our oldest field-based conservation project. We worked directly with The Saudi Wildlife Authority and have enjoyed 28 years of support and success within the Kingdom. The Living Collection (our breeding population of gazelles) acted as a genetic reservoir for a number of highly threatened species, and as a source to supplement wild populations. We ran a number of long-term monitoring programmes within Protected Areas, as well as active research into mammal biodiversity, using the latest remote camera technology. The KKWRC laboratory carries out a range of screening and disease diagnosis, and houses one of the most important collections of biological samples in the Arabian Peninsula. ZSL provided the Saudi Wildlife Authority with expertise in the captive management of threatened species, and provided conservation support, training and assistance in monitoring the extensive Protected Area network within Saudi Arabia. Early involvement focused on the conservation breeding, reintroduction and post-release monitoring of animals into a range of Protected Areas. Since the successful reintroductions, ZSL focused on providing applied conservation support through training Protected Area Managers and field rangers in survey techniques, providing management advice and regular supplementary reintroductions. Collection and archiving of more than 75,000 biological samples from a range of Saudi Arabian wildlife. After 28 years, ZSL has handed back the reins at the King Khalid Wildlife Research Centre (KKWRC) to the Saudi Wildlife Authority, which will oversee future management of the centre. The Centre has delivered some tremendous results over the years, including reintroducing two species of gazelle to the Uruq Bani M'Arid protected area; a region from which they had disappeared. Over the years, ZSL have been working on cutting edge research and conservation at the Centre and we have been responsible for the only successful reintroductions of wild antelopes anywhere in the world. 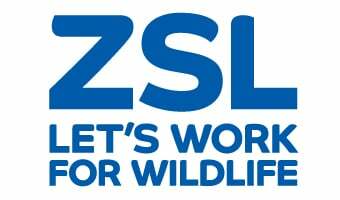 We have built a firm foundation to restore and safeguard wildlife in the country for years to come and ZSL wishes the Centre more successes in the future. Arabian Gazelle (Gazella Arabica) and the Farasan Islands subspecies (G.a.farasanii).